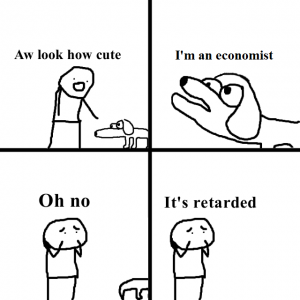 I frowned the first time somebody introduced me as an ‘economist’. After all, I don’t have a piece of paper that says I’m an economist. But upon reflection I realized that it was true. In effect, I had indeed become an economist. How did that happen? But that was before 2008. While I was doing my PhD, oil and food prices were suddenly all over the news. I started reading about peak oil. In the fall of 2008, the American and European banking systems needed to be bailed out. Stock markets crashed. The banking crisis got me hooked on economics. As you can see, it’s quite an eclectic mix of economists and market observers, predominantly American ones. After graduation, I left science to work in a bank. Although I did mostly technical work, it did teach me a lot about real life in the financial industry. Even economists who should know better kept on spouting nonsense. That’s why I decided to summarize what I had learned about money and banking since 2008. I quit my job to write Bankers are people, too. You be the judge of how well I did. Meanwhile, I used this blog to comment on banking related issues. By the logic ‘if it looks like a duck, swims like a duck, and quacks like a duck, then it’s a duck’, I have to admit that I’m an economist. 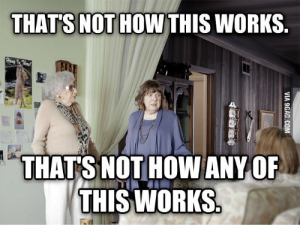 Economists with an actual degree in economics probably want to know if I still think they are retarded. Allow me to answer like an economist. On the one hand, I have read and met some very good, nuanced economists. This is the hard-working majority who are almost never asked for comments by journalists. On the other hand, the media sure loves ideological hacks who keep on repeating their stale discarded theories.